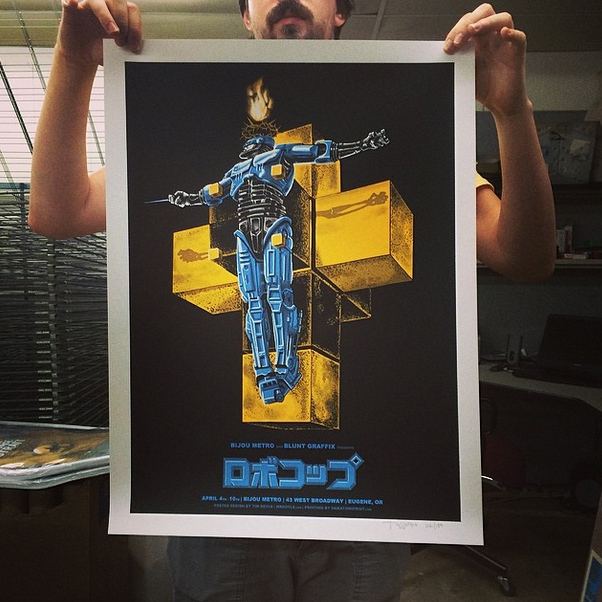 Tim Doyle’s hit mash-up between religious icons Robocop and Salvador Dali is now available at Nakatomi! This hand-printed 18×24 silkscreen poster is signed and numbered by the artist in an edition of only 150 worldwide. Nakatomi will have much less for sale on the site. This print is now on sale HERE IN THE NAKATOMI STORE, and is in hand for immediate shipment!